The first grand slam of the year, the Australian Open, is well underway with the world’s tennis community firmly focussed on Melbourne Park as two weeks of brilliant tennis and stories unfold. One story that is brewing though is the IT problems which are somewhat hampering the public’s ability to access key information about one of the world’s premier tennis tournaments from its own official app. Judging by comments on app stores (see screenshots below), Twitter posts and this author’s own experience, the official Australian Open app has some demons in it, despite its nice UI design. For example, there have been problems with accessing scores, draws and even AO Radio (this author has been using Tunein Radio for #AORadio instead). Tennis Australia has acknowledged this problem to some extent by releasing an update to the app, though this update was intended just to fix a notification fault in it. Over the years, Tennis Australia and the Australian Open have been at the forefront of technology both behind the scenes and public facing. This website has even previously written about such – see http://www.frostglobal.com/?p=509. This front of the pack approach was no doubt due to the strong relationship that Tennis Australia developed with IBM over a couple of decades. 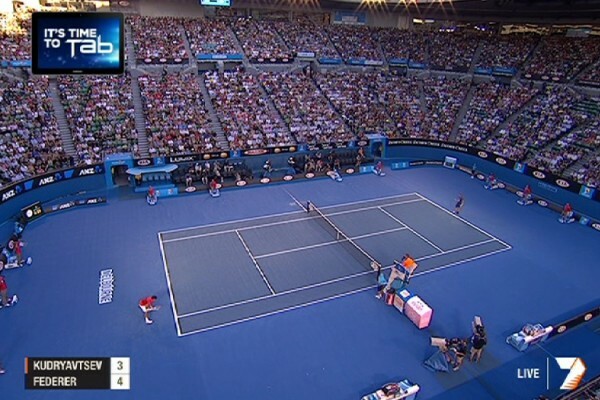 IBM was the technology partner of the Australian Open from 1993, with it providing technical services, and its logo on the speed service sign and on digital scoreboards on the host broadcast feed. 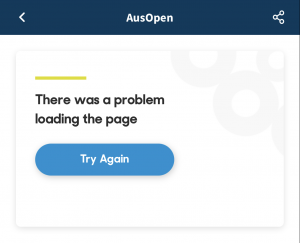 Whether the app problems for the Australian Open this week are linked with the adoption of a new IT platform following the end of the IBM relationship is unclear (not clear from web searches as to who has replaced IBM as technology provider). However, what is clear is the app needs to be fixed quick as fans should be able to rely on the Australian Open app for (at the very least) live scores rather than having to use alternate means such as Google search. As a side note, it isn’t all bad news though on the tech side with the Australian Open’s domestic broadcast rights holder Seven reporting that there were 4.5m minutes of tennis streamed on Day 1 via its 7Tennis platform, up 40% on Day 1 for the 2017 tournament.